An offer of £70million to communities blighted by High Speed 2 has been branded an ‘insult’ by furious MPs and local councils. Transport Secretary Chris Grayling yesterday confirmed plans to press ahead with the controversial project, arguing Britain needs HS2 ‘now more than ever’. In an effort to appease local authorities, he also announced they could apply for £70million of Government grants for developments such as improved landscaping, cycle lanes and pedestrian safety schemes. Of this, £40million will be allocated to councils along the first phase of the route between London and Birmingham. This includes £15million for the whole of Staffordshire, Warwickshire and Buckinghamshire, and £7.5million for Greater London. Charities, local businesses, and community groups will also be able to apply for the money. Residents who will end up with the line close to their properties have not yet been told what compensation they can expect. HS2 was described as a ‘gravy train’ last night as it emerged ministers were planning to hire a team of staff to write about the history of the project. In an online advert, the Department for Transport said it was looking to recruit up to four graduates to ‘help write the story of HS2 from inception to the present day’. Writers were offered a salary of £28,344 to £29,763 for six months. The aim was to publish a report ‘to explain the development of HS2 to external audiences’. The advert was spotted by Cheryl Gillan, one of the most vocal opponents of HS2. In the Commons yesterday, the Tory MP for Chesham and Amersham said: ‘This is just further evidence that the HS2 gravy train is completely out of control. ‘How could the Government ever have imagined it would be a good use of taxpayers’ money to help “write the story of HS2”?’. The advert was removed last night. But the comments triggered a backlash from opponents of the scheme, which was described yesterday as a ‘vanity project’ by the Institute of Economic Affairs. One MP branded the fund as a ‘drop in the ocean’ compared with the £56billion budget for the scheme, which some experts fear could cost £90billion by the time it is completed. 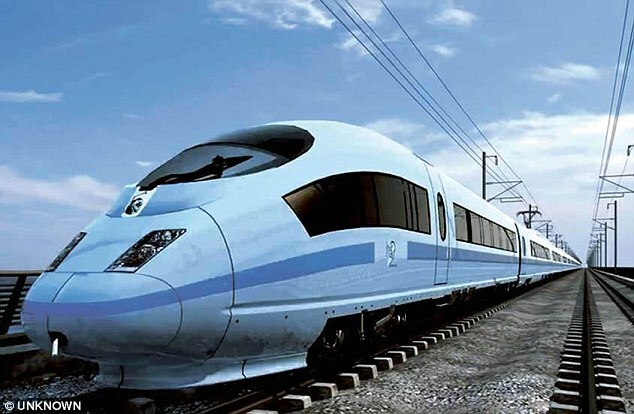 More than £2billion has been spent on HS2 without a single piece of track being laid. Buckinghamshire Council raised concerns that it may only receive £5million as it will have to share a £15million pot with Warwickshire and Staffordshire. Martin Tett, the leader of the Tory council, said: ‘The announcement is terribly disappointing and implies that the Government just hasn’t grasped the sheer scale of the disruption HS2 will cause’. 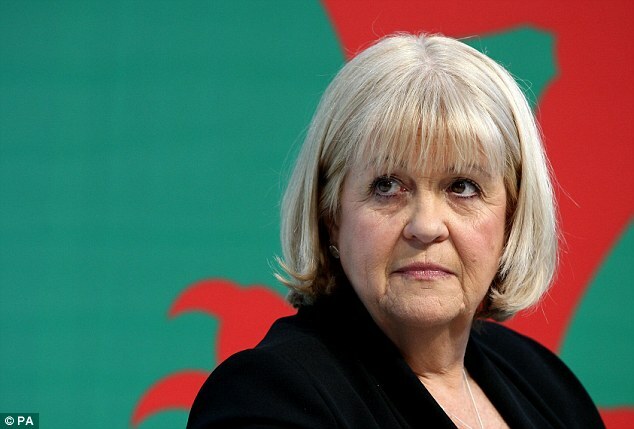 Cheryl Gillan, the Tory MP for Chesham and Amersham, has been one of the most vocal opponents of HS2, which will run through the Chilterns, an area of outstanding natural beauty. But responding to Mr Grayling’s speech, Mark Littlewood, director-general of the Institute of Economic Affairs, said: ‘This vanity project offers zero value for money for taxpayers who will bear the burden of the cost’. The second phase of the route is due to connect the Midlands to Crewe, Leeds and Manchester. The Department for Transport said the £70million fund comes on top of significant investment it has already made in mitigating the impact of HS2. A spokesman added: ‘By planning this project sensibly we have reduced adverse environmental effects as much as possible.